The BLACKHAWK® Fortify Jacket is made from 10,000 MM fabric - one of the most waterproof yet breathable fabrics available. A back vent further enhances breathability by encouraging extra airflow with movement. The 4-Way stretch construction moves with the wearer ensuring a useable range of motion. 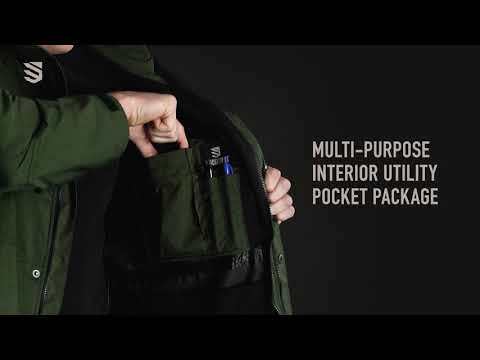 Six total multi-function pockets provide convenient storage, including an interior utility pocket that protects gear from the elements. The Fortify Jacket stands on its own, or as an exterior shell to the BLACKHAWK® Bolster jacket.